Mayfair members club reopens with new look and louche basement lounge. 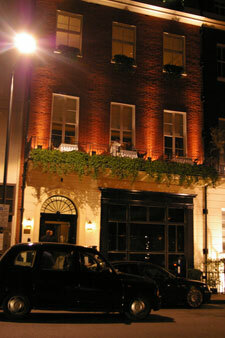 One of London’s most famous and selective Mayfair private members clubs, Mortons in Berkeley Square, has undergone a major refurbishment to each of the four floors in this elegant Georgian town house. This includes a new high quality sound system — designed over eight separate zones — and a club lighting system in the newly-created Night Lounge located in the basement area. 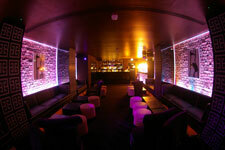 All spaces have been conceived, installed and supplied by the Sound Division Group. When proprietor Marlon Abela reopened the venue towards the end of last year, there was just one piece of the jigsaw remaining. 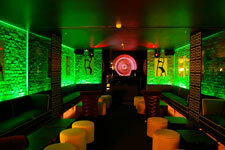 For while the ground floor bar, first floor restaurant and second floor private members’ lounge had received their first major overhaul in many years, it was only after the owners decided to convert the basement into an exclusive nightclub — termed a ‘night lounge’ — that the real 'wow factor' was delivered. With its colour-washed, exposed brickwork, discreet effects lighting and exclusive, bookable jet black tables, the new Night Lounge provides a luxurious environment for members and their guests to socialise and dance late into the night. Sound Division managing director, David Graham, whose company had been recommended to the project, stated: "Today, it’s no longer just about creating traditional-style clubs but chic boutique lounges which are becoming increasingly popular in Mayfair and Chelsea. The owners have been brave in converting a completely new area from a former conventional private dining room, and part of the enhancement was to make this space more intimate, using warm vibrant colours and also create light movement for dancing." With the lighting and sound system also needing to be both unobtrusive and of high quality, the compact, high quality NEXO speaker range was specified. Six of the newly-styled NEXO PS8’s have been ceiling-mounted down either side of the rectangular room, with a pair of LS500 subwoofers recessed under the DJ booth and split into separate Bar and Club zones. The dynamic lighting and gobo patterns are emitted from four of the equally compact Chauvet Q Spot 150 LED moving heads, selected for their especially high brightness within a compact form factor, and controlled from a ShowCAD Artist software package. The presets have been programmed onto a 17" touch screen PC — with an intuitive, custom designed GUI — a set up which is proving increasingly popular with club operators and DJ’s for its simplicity of use. 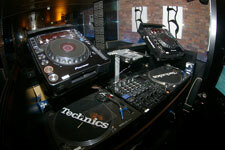 The DJ booth itself is also fitted with industry-standard audio control, such as Pioneer CDJ-1000 Mk3 CD turntables and DJM800 mixer, with the club’s existing Technics SL1210 Mk2’s overhauled and reinstalled, with the now obligatory Stanton Uberstands provided for laptop use. Up in the bustling, wood-panelled, drawing room-style ground floor bar there are a further four NEXO PS8’s and an LS400 sub. 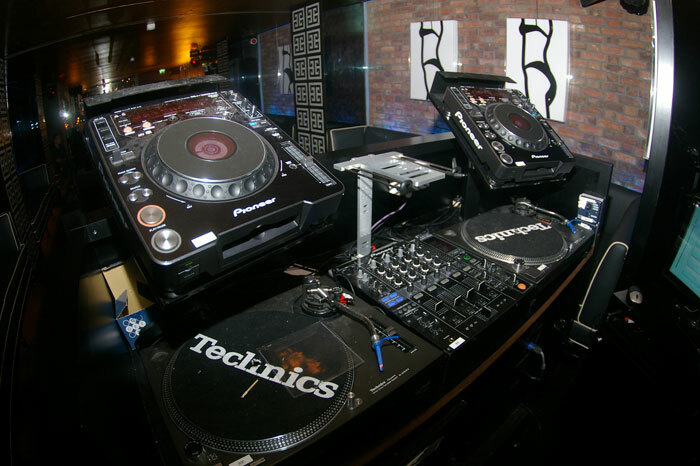 A plug-in provision for iPod and plasma screen has also been provided while a second portable DJ set-up — with Pioneer CDJ-1000 Mk3 s and a DJM 800 mixer supplied — allowing DJ’s to play in the bar during busy midweek evenings and at weekends. Elsewhere Sound Division have used a combination of JBL Control 25AV and Control 23 series speakers in the ground floor reception area and stairwell, with redeployed Bose and Mordaunt Short speakers in the first floor restaurant and second floor private members' lounge. Here, further plug-in points maximise the potential for a wide range of private events to be staged - whether used for corporate presentation purposes or by DJ’s / live bands for private functions. The entire audio system is powered by Crown amplification and placed within a Soundweb London digital processing environment. A Soundweb London BLU-80 (configured 8-in/8-out) and BLU-32 I/O extender form the central hub with a series of BLU-6 and BLU-3 remote source and volume select panels strategically positioned in the key areas for local operation, while system management of the NEXO mid/highs and subs is under the respective control of a dedicated NEXO PS-8TD and PS-10TD Mk3 within the Night Lounge and bar. All the equipment is contained in two rack locations — one in the basement and a second in the third floor manager’s office — and the two Soundwebs are linked by CAT 5 cable to form an audio network between the two racks. Finally, Sound Division have created a third portable rack system for live work around the venue, containing Shure SM58 and PG24/PG58 UHF radio mic system, a Phonic Helix 17 5-channel mic mixer and repurposed HK monitor speakers. The result is a beautifully recrafted venue, in which the interior design scheme was jointly handled by architects Virgile and Stone, and Tara Bernard of Target Living. Said David Graham, "We are extremely proud to have been asked to fit out this landmark club — one of Mayfair’s best-known institutions — which represents another flagship project for us. "From the outset, the client recognised the importance of having a good quality system and allowed us to specify the best equipment for the job. The contract ran very smoothly from start to finish, and was completed on schedule and to budget, with no problems incurred." General manager David St. André describes the new fit-out as "a definite success", in particular the Night Lounge. With DJ’s pumping out music until 3am from Wednesday through Saturday, the 80-capacity lounge is regularly filled to capacity.